Throughout her years in real estate, Juliana has earned a reputation for the integrity, superior customer service, and thoughtfulness she brings to every relationship. Equally personable and professional, Juliana has a natural ability to understand her clients' needs, whether they are first-time buyers, parents buying for children, or seasoned investors. The true measure of her success, and what means the most to her, is the repeat and referral business she receives from her loyal clients. Juliana understands that real estate is both a major investment and emotional commitment, which is why she handles each deal with the utmost attention and dedication. Juliana also has a keen eye for architecture and design and helps her clients see a space in a way they could not have imagined it. As a native Upper East Sider with family in both the interior design and real estate industries, she was exposed to New York City's vibrant market at a young age. Juliana earned her Bachelor of Arts in Communications at Boston College. Spending four years in Boston reaffirmed her love for New York City and knew there was no where else to begin her career. 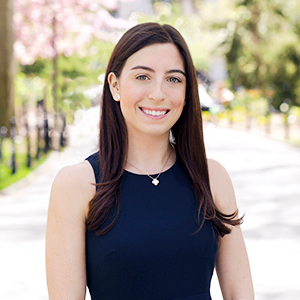 Prior to joining Compass, Juliana was a top-producing agent at MyGradPad, a real estate brokerage that specializes in helping young professionals find apartments in New York City. In her first 6 months, she was promoted to Leasing Manager, a role in which she managed the rental division of the company. As she continued to grow her network and client base, she moved her focus to the sales market and closed just under $10 million in sales. Juliana currently resides on the Upper East Side and enjoys exploring new restaurants, spending time with her friends and family, and going to the park with her dog Freddie. She is also very happy to contribute to some of her favorite charitable organizations including the Alzheimer's Association and the Humane Society.